Content Marketing Management Edmonton AB Canada Cancron™ Inc. The marketplace has shifted radically from what it was in the recent past. A while back, the sales force and retail owners used to be the experts that guided the sales process. Today, the buyer is the expert and actively seeks solutions for his needs. In the buyer-driven marketplace, content is the only way to attract the buyers. Content market is the process through which you create high-quality content that is of value to attract, inform, and engage with the target audience while promoting the value of your brand. Potential clients are always looking for answers on the web that your brand can answer effectively. Content marketing is what leads them to you. If you are looking for a perfect content strategy, you are at the right place. We help you manage content for successful marketing both online and offline. In our content plan, we identify your audience, the channels in which we shall communicate with them and what is to be communicated. Our team then formulates an effective marketing content for your business to drive the message that you would like your customers to receive. Our content is meant for the visitors. Thus, we do not stuff keywords and funny expressions just to be picked by the search engine. 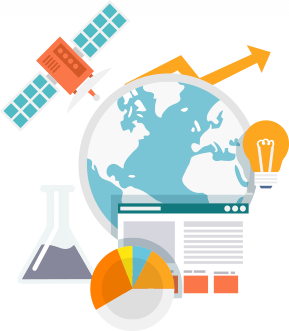 However, we optimize your content to ensure that it is visible to the search engine and ranks well in the organic search results to bring in the traffic. The content marketing process is built on creating robust, strategic personas and taking your buyer through the buying process. We help formulate the right content for each stage of the sales funnel from the time the customer visits the site all the way to post purchase period. Social media marketing is one of the most critical channels for your content marketing campaign. Given the large number of social media platforms, you cannot replicate content on one platform to all the other platforms just the way it is. We help you in creating content that is specifically meant for the platform in which you are targeting. Facebook posts may not engage your LinkedIn clients or cause retweets on your Twitter handle. A superb content development strategy helps send the same message to different platforms and target groups. Are you looking towards bringing your brand to life? Get expert help in creating a robust content strategy from our team. Content goes a long way into cementing your position as an authority in your industry and thereby boosting the value of your brand.